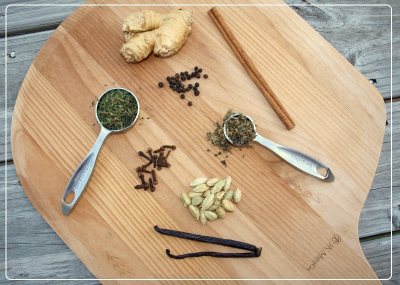 Note from Jennifer: Today, I’m excited to take you to the world of herbs. I am still a babe in the woods when it comes to plant medicine, so I’m going to let Faith from the Nourishing Herbalist tell you more about adaptogenic herbs. She’ll also show you how to use them in a delicious chai tea recipe. 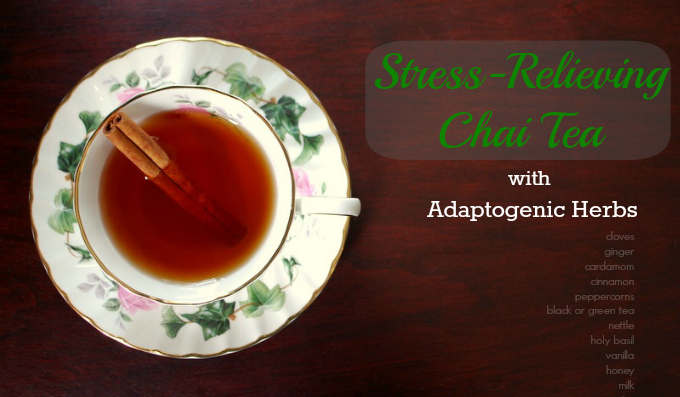 Since chai is hands-down my favorite tea and stress is never-ending, this is about to go down in my kitchen today. Ah, stress. For a majority of us, stress has simply become a way of life. But this new “normal” is a debilitating epidemic. While finding ways to eliminate or better manage “stressors” in our life is important, so is identifying tools to help the body achieve balance and peace on a daily basis. And the best tool of all can be found right in nature. Have you heard of adaptogenic herbs? Promote the return to a balanced physical and mental state, eradicating the undesirable symptoms of anxiety and fatigue. Some of my favorite adaptogenic herbs include Nettle, Holy Basil, Garlic, Astragalus, and Dandelion. You can throw a spoonful of adaptogenic herbs into any recipe but my all-time favorite use for them is in tea. And not just any tea… Chai. Making Chai tea from scratch is easier than you might think and tastes so much better than store bought! 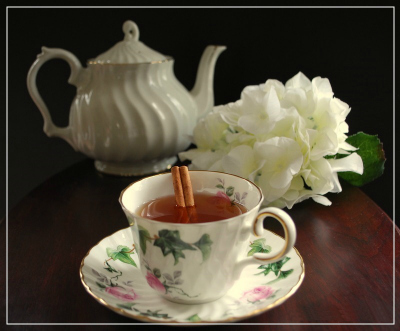 I love to use green tea leaves in this recipe to unwind at the day’s end or black tea leaves in the morning to provide an extra energy boost to make it through the day. Either way you make it, this Chai will soothe your soul, calm your mind and safeguard your body from the harmful effects of stress. And that’s something we can all drink to! Bring ginger, cardamom, cloves, cinnamon, peppercorns, and water to a gentle simmer on the stove. Simmer for 10-30 minutes, depending on preferred strength. Turn off the heat and add tea bags, nettle, basil and vanilla. Remove tea bags after 3-5 minutes, but continue to steep the tea for 5 more minutes before straining into mason jars. Serve immediately with milk and honey (to taste). Or store plain Chai in the refrigerator for up to 3 days. Faith is the owner of Nourishing Herbalist, a holistic health and wellness blog and fledgling apothecary. 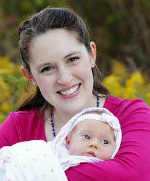 She is passionate about leading her family down the path to better vitality by emphasizing a wholesome diet, alternative health care and good ol’ common sense. When she’s not spending time with her husband or homeschooling 4 little ones, Faith can be found pursuing her certification in clinical homeopathy and daydreaming about the goats she hopes to own one day.